Each of the 13 lessons contains step-by-step instructions to help prepare and teach. Tips help teachers understand second and third graders, with helpful suggestions for enhancing their Sunday school experience. Follows a four-step learning cycle to help teachers reach every child the way God made them. Understanding the Bible sections provide interesting information about each Scripture passage. Audio and visual resources to go with the Teacher’s Commentary. 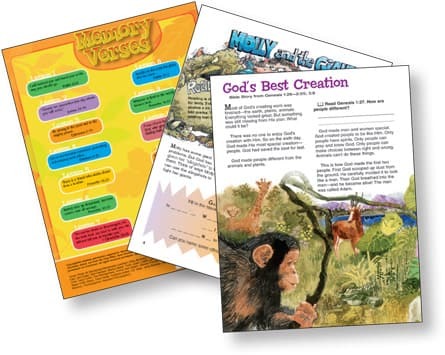 Enhances lessons with a variety of Bible art posters, 3D models, games, puzzles, and a music CD featuring three original worship songs (stereo and instrumental) that correlate with each of the three units per quarter plus a quarterly theme song. 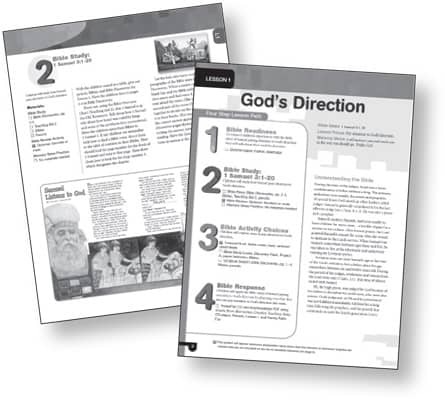 This in-class student book for second and third graders contains four pages for each lesson, including Bible study pages and activities. 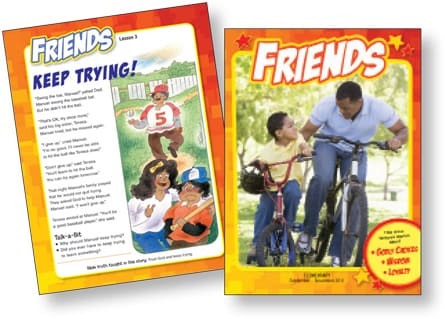 As a bonus, the cover includes the quarter’s memory verses and an activity to encourage Bible memory and lesson review. 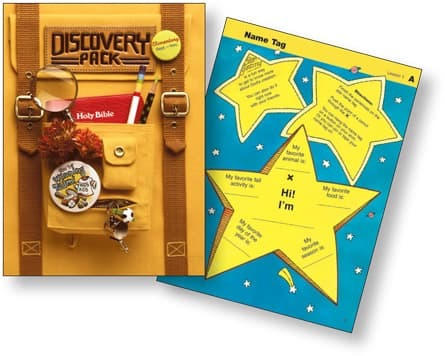 This in-class student craft book is full of hands-on projects and crafts—like games, 3-D booklets, pop-up cards, and mobiles—that allows students to explore what they have just learned in the Bible story. These age-appropriate craft projects can be done by the students with little or no help from the teacher. 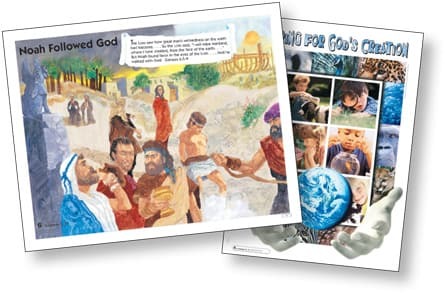 Teachers can send home this four-page leaflet each week to help Bible lessons thrive in students’ hearts and hands at home. Begins with the Bible story for the child to read, then a contemporary story to help apply the Bible Truth, activities, and concludes with a family section. The whole family can get involved in practicing what the student has learned in Sunday school. "We have been using Echoes Sunday School materials for many years and especially appreciate the support provided by the David C Cook team. 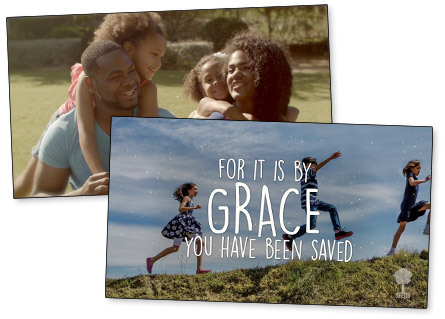 The lessons are relatable at all ages and we find the scriptures and present-day illustrations relevant in connecting Bible application to daily living. Our teachers and students find the materials inspiring, provocative and soul searching. We are motivated to study more and more."